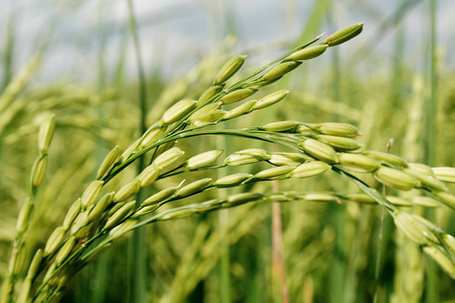 Since about 2006,Ventria has been quietly cultivating rice that has been genetically modified (GM) with genes from the human liver for the purpose of taking the artificial proteins produced by this “Frankenrice” and using them in pharmaceuticals. With approval from the U.S. Department of Agriculture (USDA),Ventria has taken one of the most widely cultivated grain crops in the world today, and essentially turned it into a catalyst for producing new drugs. Originally, the cultivation of this GM rice, which comes in three approved varieties, was limited to the laboratory setting. But in 2007,Ventria decided to bring the rice outdoors. The company initially tried to plant the crops in Missouri, but met resistance fromAnheuser-Buschand others, which threatened to boycott all rice from the state in the event that Ventria began planting its rice within state borders. Though receiving tens of thousands of public comments of opposition, many rightly concerned about the spread of GM traits, the USDA approved open cultivation of Ventria‘s GM rice anyway. This, of course, occurred after the U.S.Food and Drug Administration(FDA) had refused approval for Ventria‘s GM rice back in 2003.